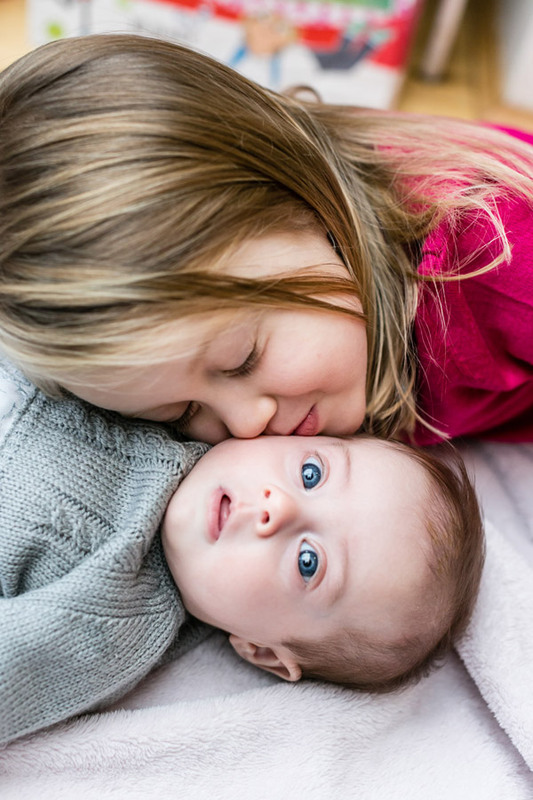 Capturing the special bond between siblings can be challenging, but is so worthwhile. Looking back, photographs with a brother or sister will bring back wonderful memories. 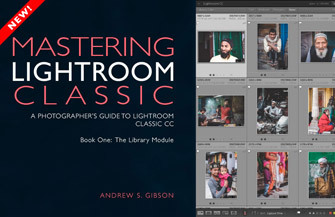 Getting these shots takes patience – and sometimes, a bit of cunning. 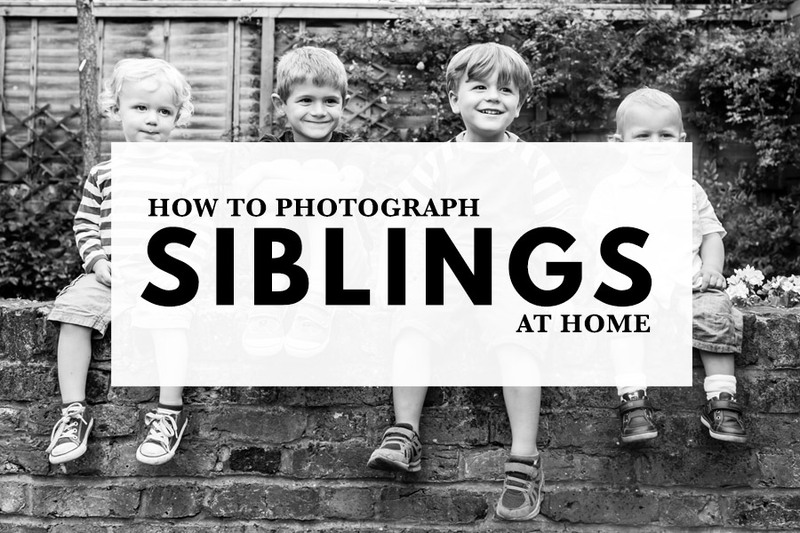 Here are some tips on how to photograph siblings and take some great photos at home. Young children won’t be impressed if you ask them to come and sit somewhere for you to take some photos. Try to make it a game for them, instead, so they feel you’re taking the photographs for their own amusement. 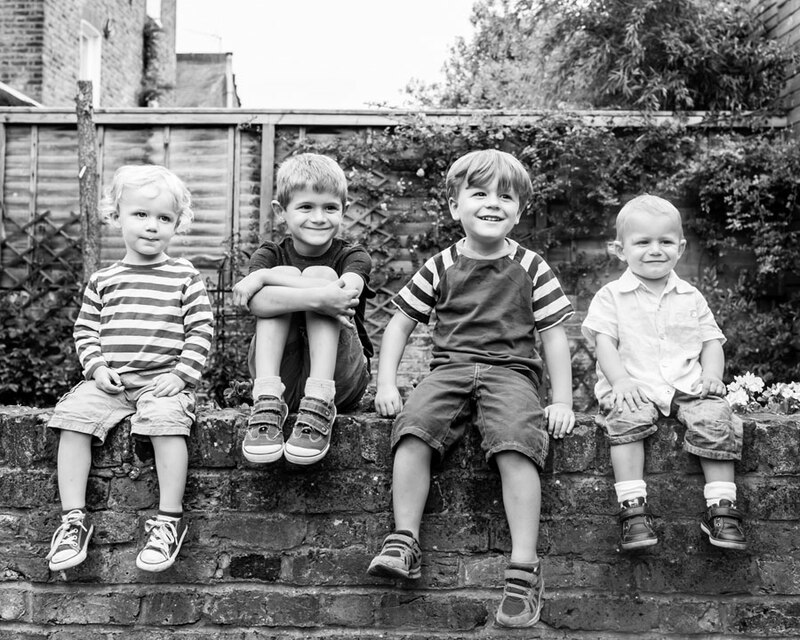 Ideally, start photographing when they’re already in a playful mood – it’s best to work with a toddler’s mood, rather than decide it’s a convenient time for you and hope the toddler co-operates! You might find that a toddler isn’t really that interested in cuddling their baby brother or sister for a photo. If you don’t capture this naturally – which is tough, there’s rarely time to reach for a camera in these situations – the best approach is to introduce the cuddle as a game. Ask them to point out where the baby’s tummy is, and ask them if they can tickle the baby’s hand. These tricks will give you a good chance of getting a lovely photograph of the toddler stroking the baby – even if the moment took a little orchestrating! Once they’re playing this game, you might find the game turns into some affectionate moments – when a toddler slows down and looks at their baby sibling, they often do become interested and quite cuddly. At this age, children will still be very aware of being positioned somewhere for a photo, and you can lose their interest fast. Try asking them if they’ve ever sat together on a special chair, or somewhere challenging to balance like a log outside – seeing if they can do it will often entice even the most reluctant child. Or, give them the same thing to hold – a shared task can get active children to slow down and focus. School age and teenage siblings tend to be more aware of personal space, and to stand apart from each other. Any space between people looks cold and awkward in photographs, so it’s worth suggesting that they put their arms around each other. Asking them to behave a bit less strangers can often break the ice a bit and get them relaxed and laughing. Say something silly or cheeky to make the children laugh. 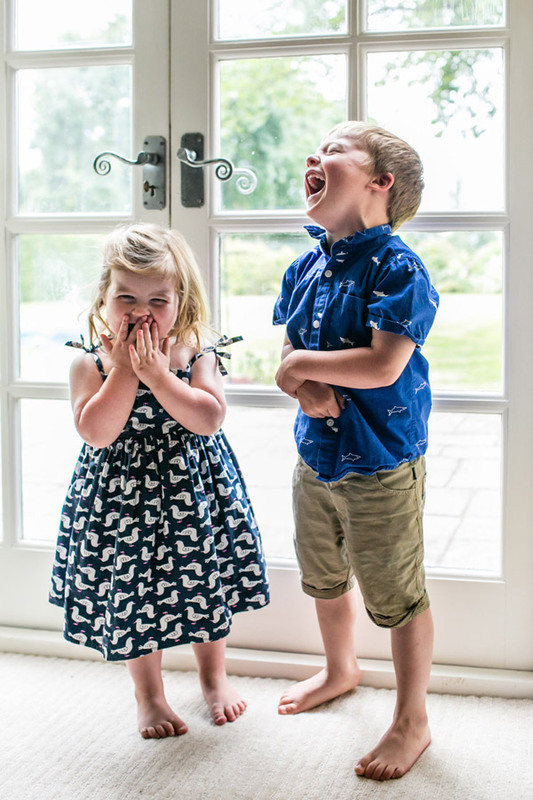 Siblings don’t have to be laughing at each other for a photograph to be full of fun and joy – you might need to give them something to laugh about! Tell one of the children a funny word to whisper into the other child’s ear, or if they’re a bit older suggest that they tell a secret. This will often make children giggle, and you’ll have a chance of photographing some gorgeous expressions. Invite the children to play with the same activity (or better yet, wait until they actually are playing together naturally!). Sharing a train set or drawing easel, for example, gives children something to focus on other than being photographed, and it can be really emotive to have photographs of them deep in concentration together. 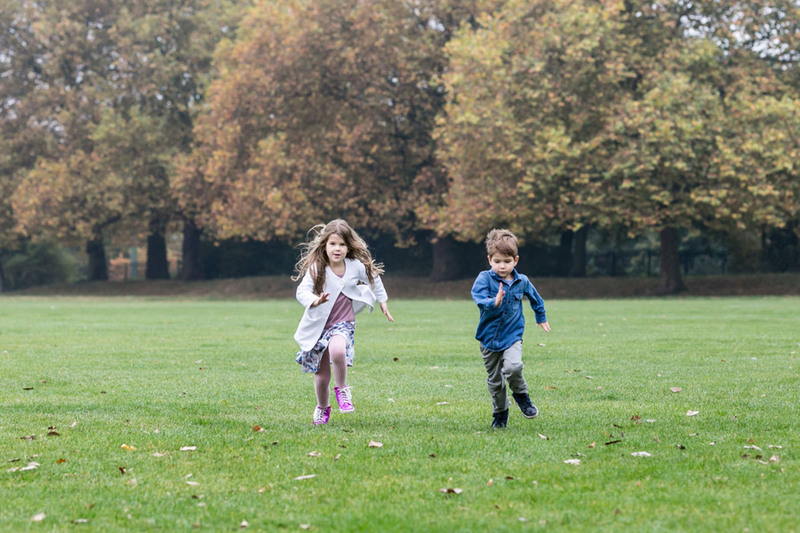 Outdoors, suggest they throw leaves together or have a race – this is a failsafe way of getting children to let loose and really enjoy themselves. 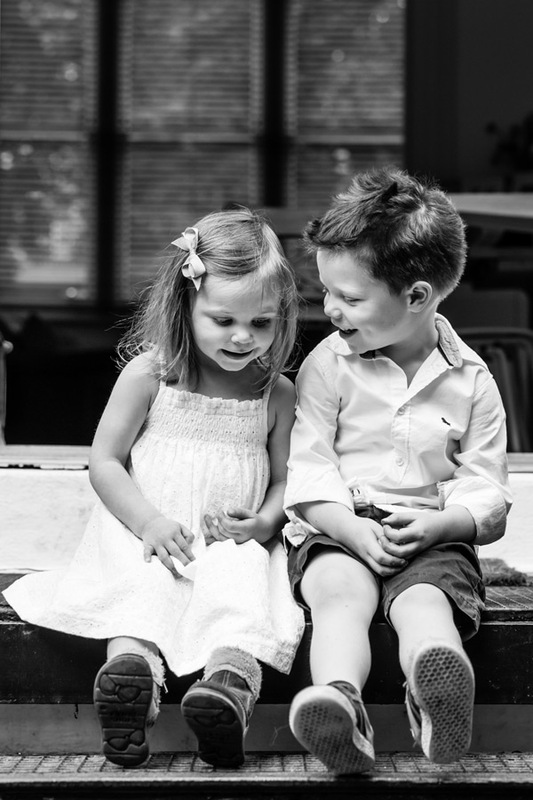 Some siblings hold hands often quite naturally, whilst others need more encouragement – either way, it’s a wonderfully emotive moment to capture in photographs. If the older sibling is growing out of hand holding, ask them if they know how to hold their little brother / sister’s hands – the challenge will often encourage kids to show you they do know how. Children can be unexpectedly forceful if you suggest them cuddle each other – it often results in bumped heads and tears, not ideal! 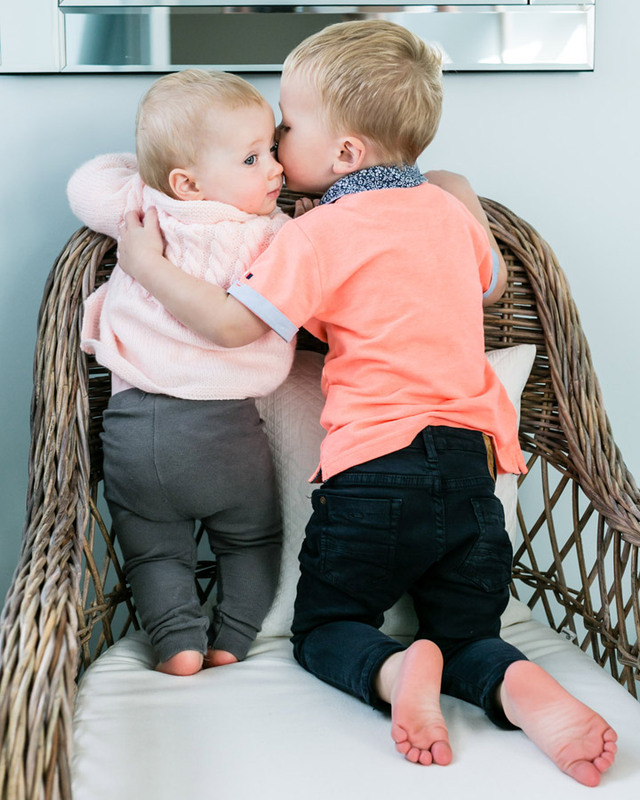 A better approach can be inviting the older sibling to reach round and put their hand on their sibling’s shoulder – young children often don’t know what “put your arm around her” means. Then you can get them chatting and giggling, and you’ll get a lovely photograph where they’re physically close and engaged. With kisses, it can be worth showing a young child how to plant a very slow and gentle kiss on a baby’s face – children often go for a bit squishy kiss but then you can’t see much of their face! A slow and gentle kiss (this might take a few goes!) works much better – especially if you show them exactly where on the baby’s head or cheek to kiss. 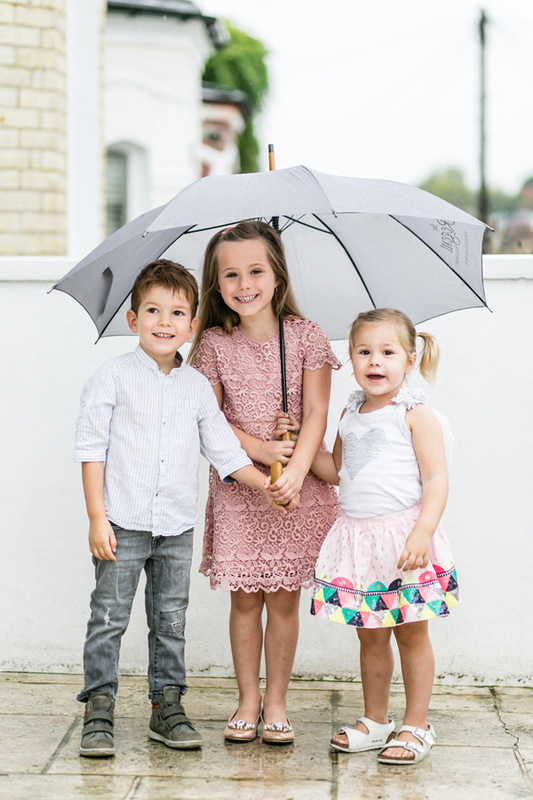 Once you’ve tried a few approaches with siblings, you’ll get a sense of which are going to work best for them – remember, every family is different and you need to respond to their mood and family dynamic. If siblings are in a more playful mood, work with that – suggest more active games, running around, different activities. If the children are in a quieter mood, focus more on the gentle moments and tender interactions. You often won’t get long to photographs siblings together – at least one is likely to get bored and wander off within minutes, so be prepared to move fast to capture those precious moments. 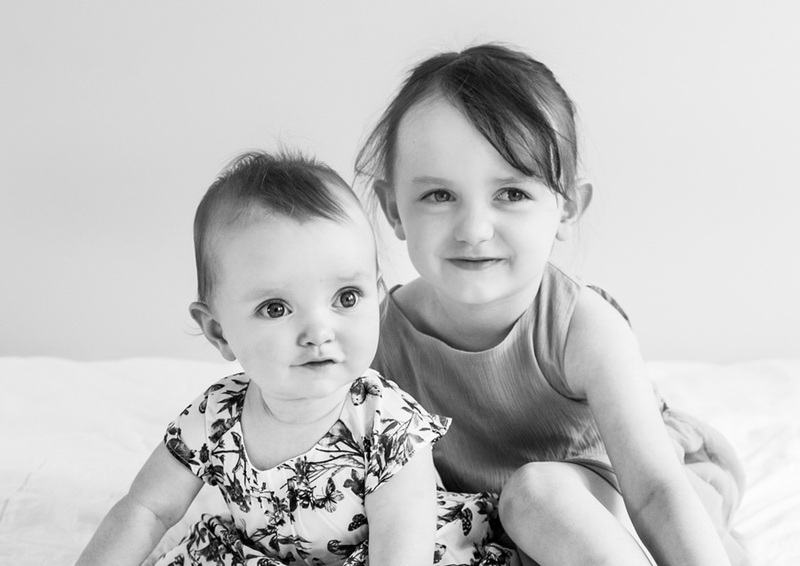 Louise Downham has photographed 1000+ babies and children to date, and her photographs have been exhibited internationally and published in national magazines. 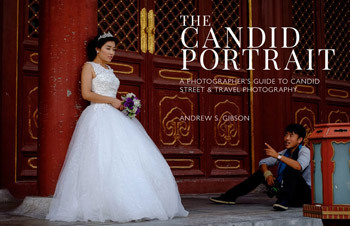 She runs an award-winning family portrait business, Louise Rose Photography. 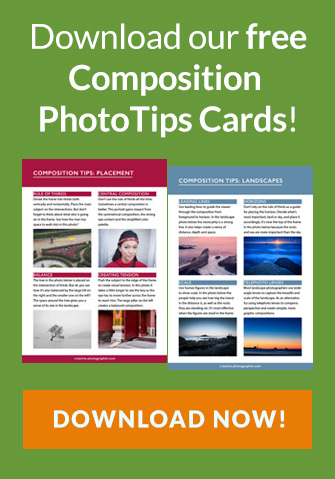 If you're looking for friendly support with your own photography business, Louise provides a mentoring program.